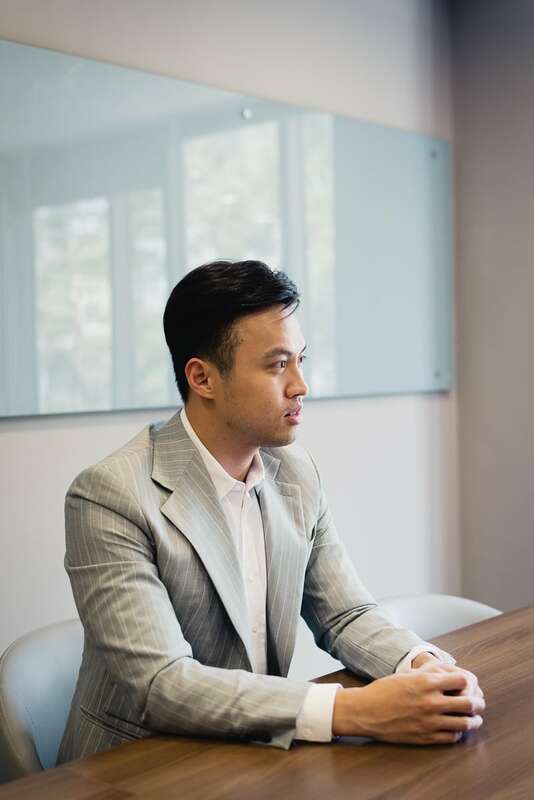 Le Dang Khoa is no stranger to national television’s Shark Tank Vietnam. 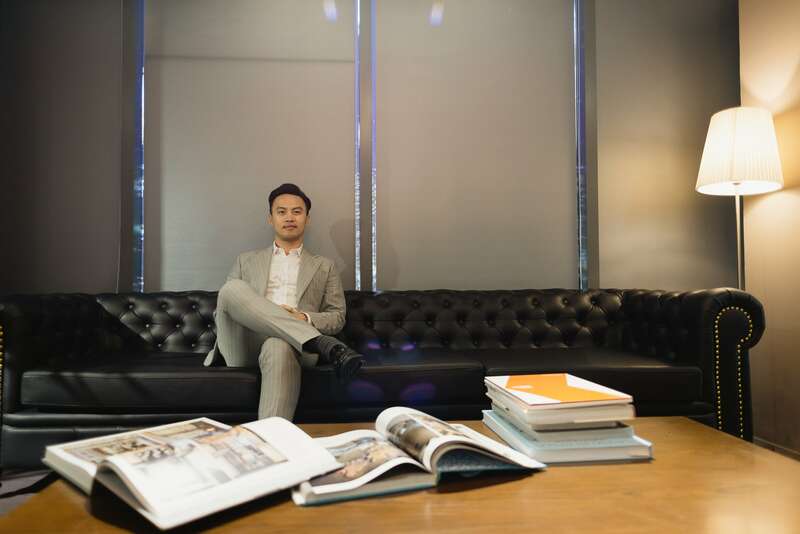 Appearing on the investor panel since day one, Khoa brings more than a decade of experience building nearly 20 homegrown brands like The Bamboo resort, 38 Degree Flower Market & Tea House, and Cooper & Co. Bespoke. Despite the packed schedule, Khoa never loses his cool. Within an hour he was able to check off a staff meeting, this interview, a photoshoot, and still had time to catch up with his employees during lunchtime. As we observe the serial entrepreneur in his natural habitat, we find out what it takes to build such a business empire. A serial entrepreneur in his natural habitat. What are three words that describe your management style? Who has been the most influential in your career? I see something worth learning in most people I meet as I carve my own path. I learn from a community of robust entrepreneurs and thought leaders, notably my own parents. They’re the biggest influence on the way I talk, lead, and envision. Past mistakes also make a great teacher. They taught me humility and confidence at the same time. My life has been the opposite of that in video games; I leveled up every time I lost a match. What is it like being the youngest Shark in the Tank? It’s something I’m already used to—being the youngest person in a room full of seniors. People are surprised that I even got a seat, and then they’re skeptical about my ability. Ageism is deeply rooted in our culture and it has set me up for unique challenges. But I embrace the fact that I belong to a younger generation of managers. People my age are the bridge between generation X and millennials, whose subcultures are severely disconnected from each other. That has given me valuable insights into both worlds, hence played to my advantage. Describe an ideal startup founder for your investment portfolio. She/he has to be a visionary leader. I need someone who can be firm and flexible at the same time, and who’s willing to take calculated risks. The market now is witnessing unprecedented competition. With well-established local brands and global names all coming up strong, what are the chances for a young startup to break through if the leader lacks an astute vision? And having such a vision is crucial because it’s increasingly challenging to navigate reality. 15 years ago when I had just graduated from university, news came in once a week or month. Now news, regardless of validity, comes in every half-second. People are fed overwhelming amounts of information, but that doesn’t necessarily mean they’re better informed. Instead, they’re confused. This bewilderment breeds assumptions and illusions. Throughout my career I’ve seen how the two elements make for business disasters. A decision-maker must know how to curate a valid stream of facts, figures, and logic to stay in touch with reality. I believe the most valuable assets of a company are its people. I’ve brought on board founders whose initial product was nothing special, but who I truly believed had the potential to lead the team and transform that very product into the next big hit. Le Dang Khoa takes calculated risks. How much power would you ideally let a founder in your portfolio have over his business? A lot of power, if she/he can meet our set KPIs. As a rule, I listen, observe, and learn before I invest in somebody. Once we’ve agreed upon certain progress, they’re free to execute however they want to get us there. But if they lose a battle, that is, fail to meet growth targets, the game will be in my hands. 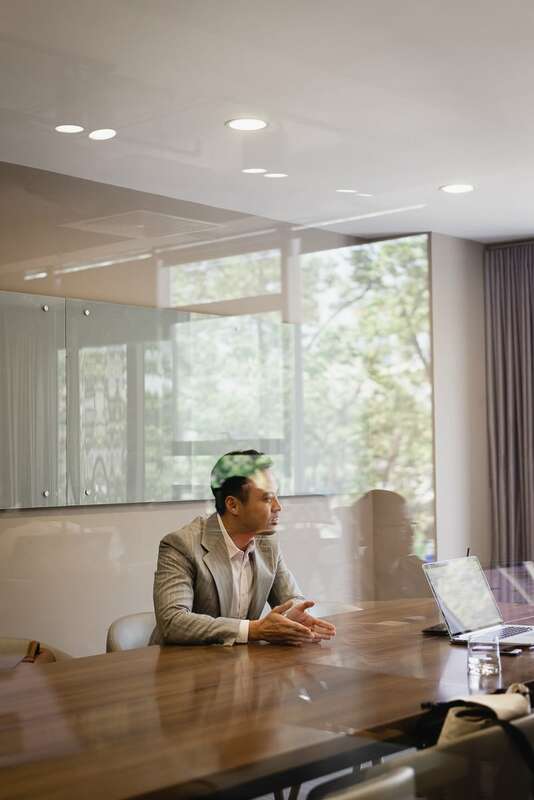 Which information do you share with startup founders in your meetings? Every Wednesday I gather the 17 founders in my portfolio for a three-hour meetup. Think of it as a mentoring session where everyone learns from each other and from me. For example, last week we discussed the Blue Ocean Strategy. We brainstormed ways to apply this concept into our current operations and visions. And we looked into which among these startups should team up for the next projects. Valuable knowledge and insights get passed around, and team spirit forms. It’s a tough business battle out there, but we’re in this together. What are your rules on selecting a startup to invest in? The first rule is the startup needs to already have a positive cash flow. That means their products have been somewhat taken in by the market and overall operations have been established. The second rule is the startup needs to have exporting potential. 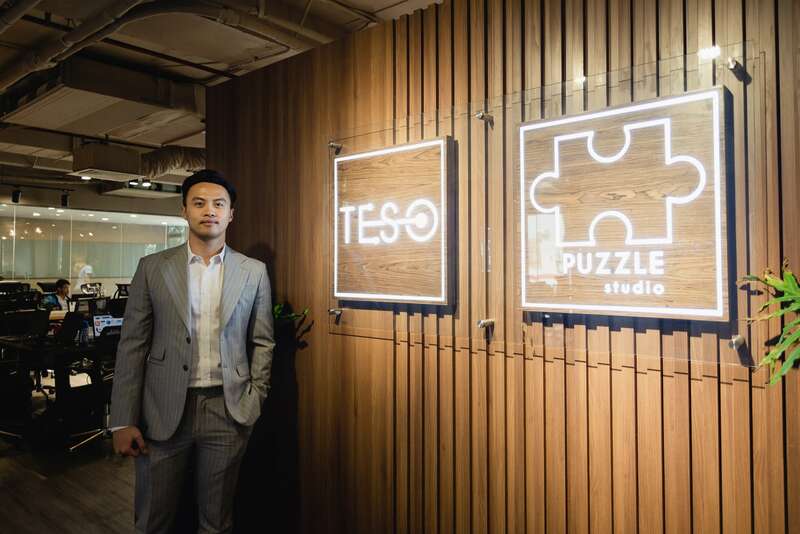 Among the ones I’ve invested in, Teso now has an office in Silicon Valley, and Puzzle Studio is designing for clients from the U.S and Cambodia. In the first half of 2019 we’re exporting our first batches of interior products to the other side of the world. What advice would you give for Shark Tank Vietnam participants? It’s already the third season of Shark Tank Vietnam. It would be naive for any startup founder to think money is the only asset investors bring to the table, hence the only subject worth negotiating. 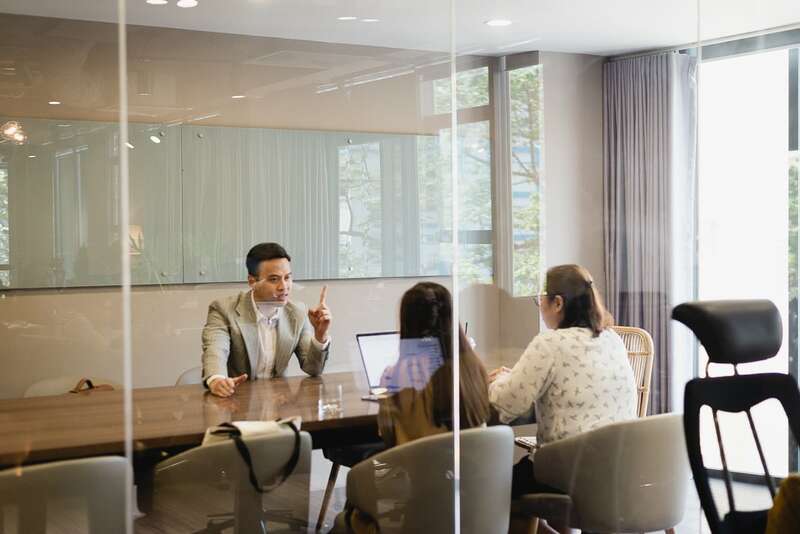 We also bring along our hard-learned experience, a full-fledged business network, and the kind of personnel that your startup may not be able to attract or afford. Even if the founder is a genius at baking and operations, their bakery still needs a seasoned sales & marketing manager to make it out there. Guess who’s willing to give you exactly that for a share? Investors. Talk to them about it. “Every Wednesday I gather the 17 founders in my portfolio for a three-hour meetup,” says the Shark. What’s the rationale behind your diversified investment portfolio? I’m building an ecosystem of lifestyle brands. Our target persona orders flowers from our shop for her gathering at our tea house (38 Flower Market Tea House & Flowers), where she and her friends will enjoy some cakes from our bakery (The Cake Factory). These businesses go on to distribute their products to the same offices, restaurants, bars and resorts. And we have a tech solution company (Teso), an interior design firm (Puzzle Studio), altogether strengthening the network’s value proposition. They also empower each other to grow. For example, Puzzle Studio joins hands with Teso in an e-commerce interior platform. I recently invested in an indoor plant company. Construction material supply will be our next move. How confident are you in your startup ecosystem? My overall strategy has only been proven right for the past two years. Now we’ve established an example of how a network of small but well-connected enterprises can effectively compete against the big guys. It’s been an exciting game. Very few entrepreneurs have made the same moves as I have. I could have taken safer paths, but I think those were already crowded. I’m a risk-taker, but I never take blind risks. Every decision needs to be assessed closely. 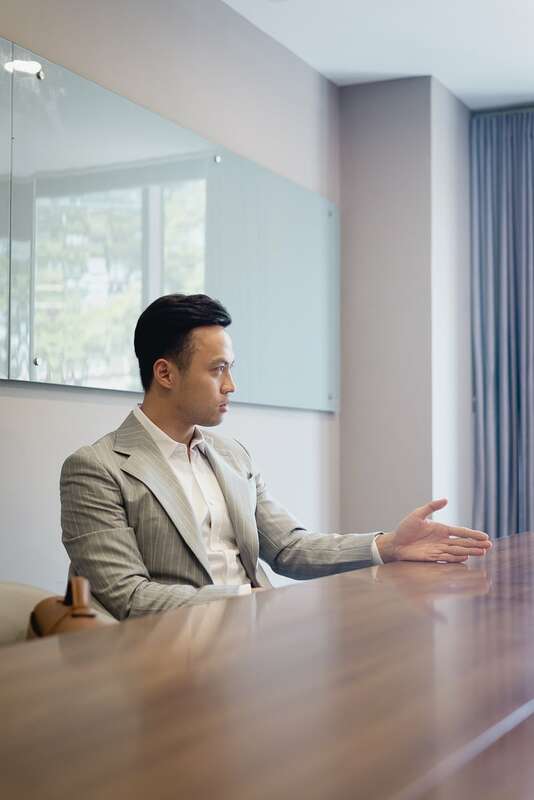 Khoa established an example of how a network of small but well-connected enterprises can effectively compete against the big guys. How do you establish a healthy company culture? I have a transparency-first policy. We’re crystal clear to our employees about compensation, rights, responsibilities, work ethics, and life ethics. Autonomy in communication and execution is also important. My phone doesn’t ring often because my staff knows just what to do without me. How far ahead do you set your long-term goals? As far as the next day. I’m micro-ambitious; I plan ahead but I also improvise. It’s a fast-changing, chaotic world we’re living in, so we should be careful of our long-term goals. If you look too far ahead, you may miss the shiny thing out from the corner of your eye.